Tickets for the Jeff Gordon 24ever Ticket Package are available at MISpeedway.com\24ever or by calling 800-354-1010. 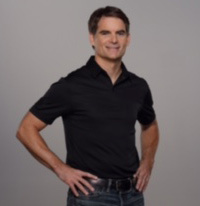 2016 Jeff Gordon Fan Club members have the opportunity to receive preferred access at the special Gordon Q&A session. To become a member, join at this link. Gordon, a four-time NASCAR Sprint Cup Series champion and three-time Sprint Cup race winner at Michigan, completed his final NASCAR Sprint Cup Series season in 2015. He made his debut in the broadcast booth with FOX Sports to start this year’s NASCAR season, including today’s DAYTONA 500.